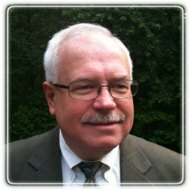 Warwick Therapist: Donald A. Labonte - Therapist 02886. Send A Message To Donald A.. Persons with simple issues as well as those with more complex concerns can feel at home with my counseling style and therapy approaches. Individuals with a desire to explore their life challenges in a setting where they will find gentle compassion are invited to initiate the life coaching and/or therapy processes. Mental heath or substance abuse will be explored with care and great respect. Licensed in Rhode Island as a Clinical Mental Health Counselor and as a Chemical Dependency Professional, I have 39 years of experience helping persons suffering with a wide array of life issues.